It was a very pleasant stay. The hostel was absolutely spotless with friendly staff and nice atmosphere. Very recommended for all travellers. 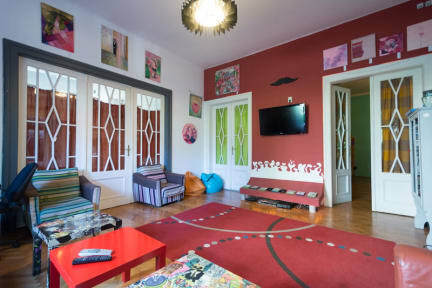 Really laid back, one of those original hostels with a nice kitchen, plenty of common areas and huge garden that is definitely very nice in summer. Really enjoyed that it is a bit off the beaten track and considering the low season..I could enjoy a longer stay with time for me. 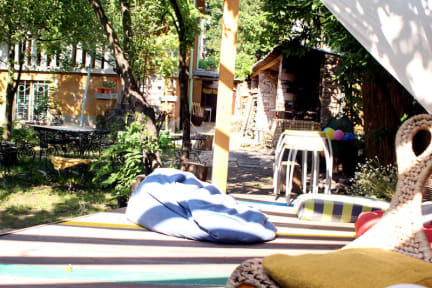 This is such a chill and comfortable hostel. It is easy walking distance to the city center and close to the river, which has a great walking path. The staff were so friendly and nice, I wish I could have stayed longer. The amazing staff of the hostel makes you feel at home. Would love to return. It was great. The staff is really nice. Everything is clean and smells nice. After 10 p.m. it's quiet and you can have a good rest. The rooms are big enough and there's a locker for each bed, also. The back garden is amazing. Everything is just like a home. Great hostel! Unfortunately it was very quiet when I was there but I can imagine it buzzing in summer! Great hostel with friendly staff and good facilities. The location is just outside the main area of the city but is right near the river which makes for a nice walk. The hostel was very quiet when I was there as it is no longer the peak season. The atmosphere is probably better during peak season. Great hostel the only problem were the bedbugs ! !